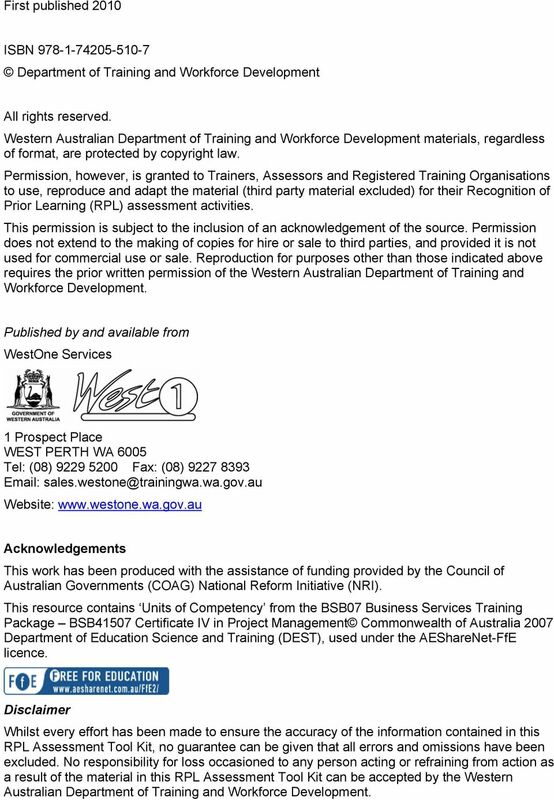 Download "Department of Training and Workforce Development Western Australia. 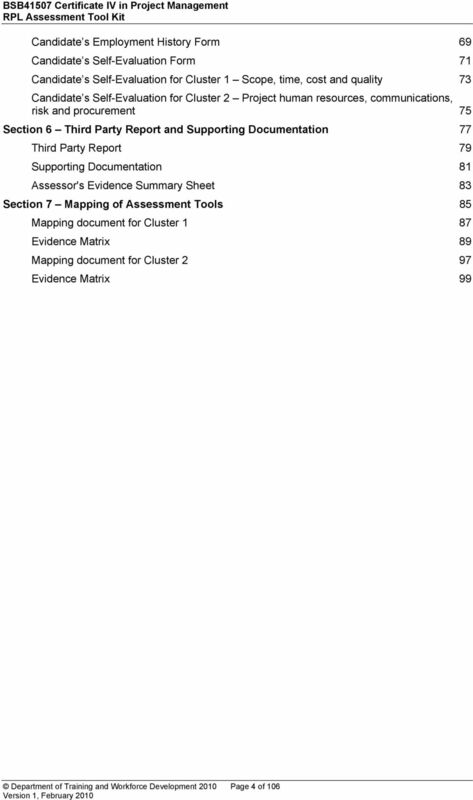 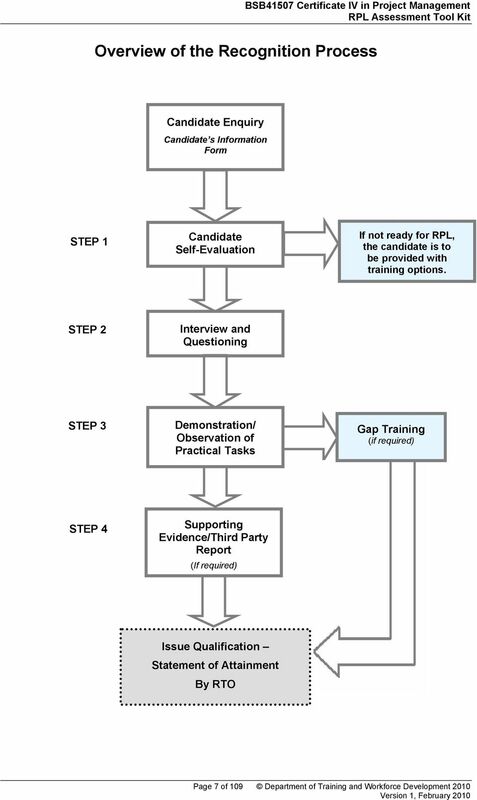 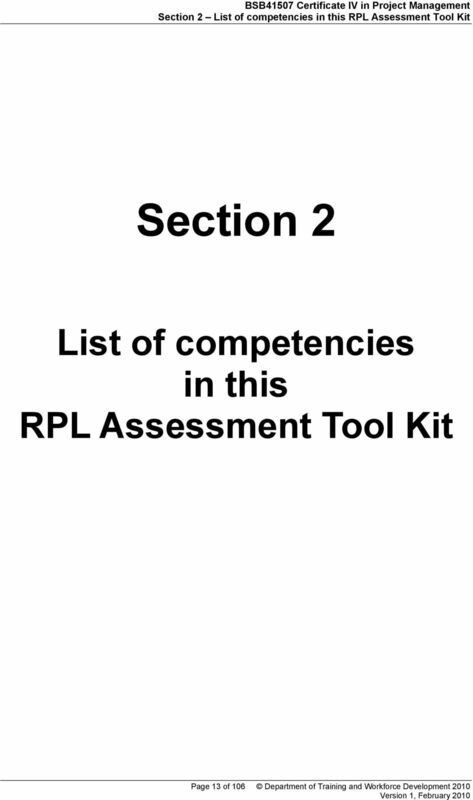 RPL Assessment Tool Kit. 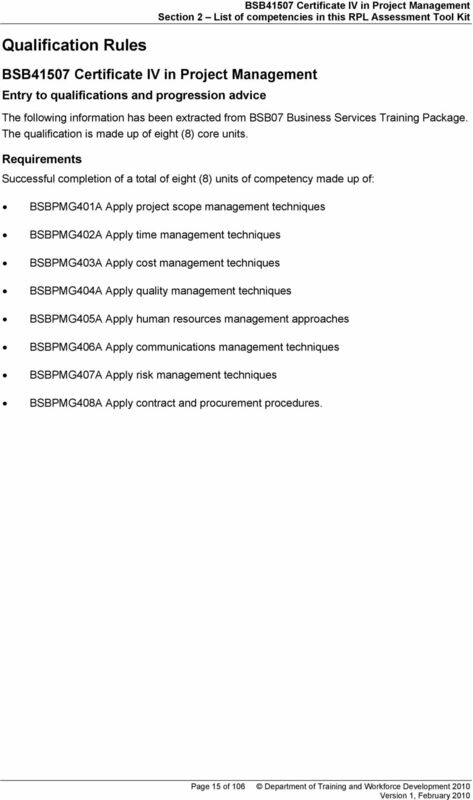 BSB41507 Certificate IV in Project Management"
2 First published 2010 ISBN Department of Training and Workforce Development All rights reserved. 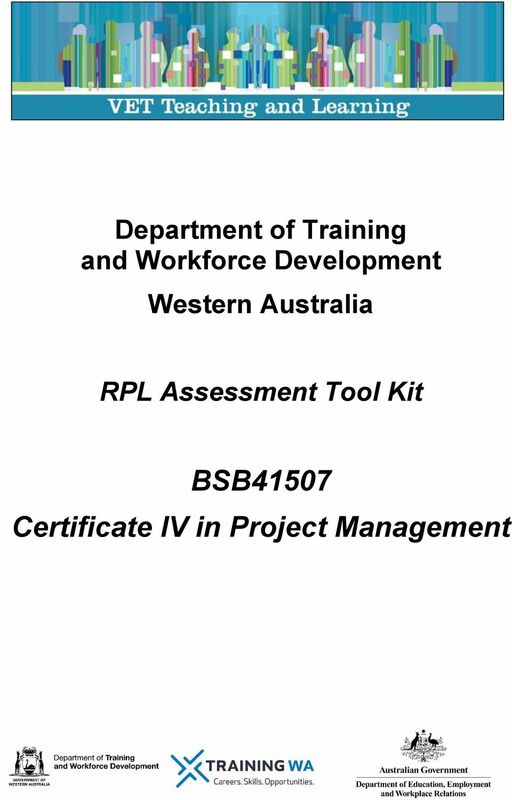 Western Australian Department of Training and Workforce Development materials, regardless of format, are protected by copyright law. 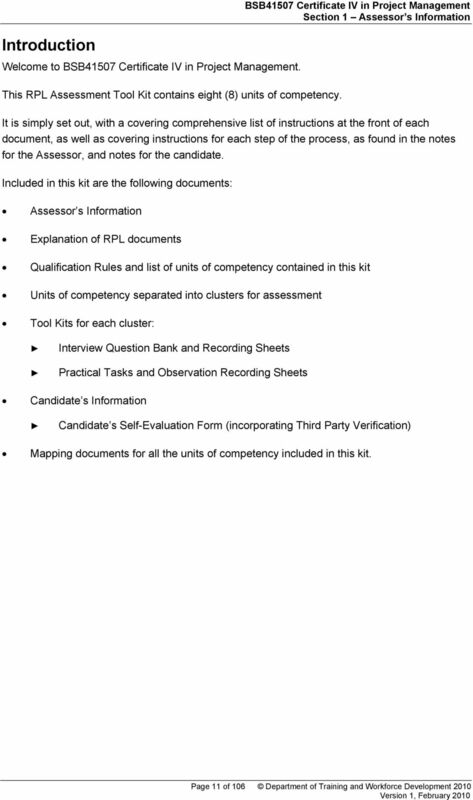 Permission, however, is granted to Trainers, Assessors and Registered Training Organisations to use, reproduce and adapt the material (third party material excluded) for their Recognition of Prior Learning (RPL) assessment activities. 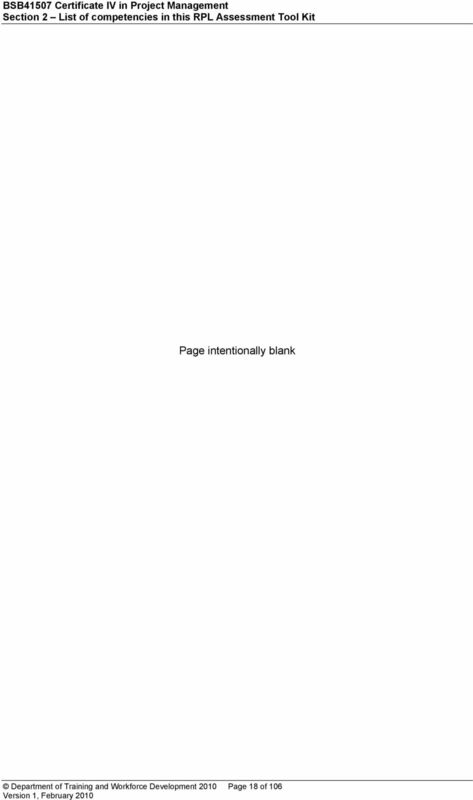 This permission is subject to the inclusion of an acknowledgement of the source. 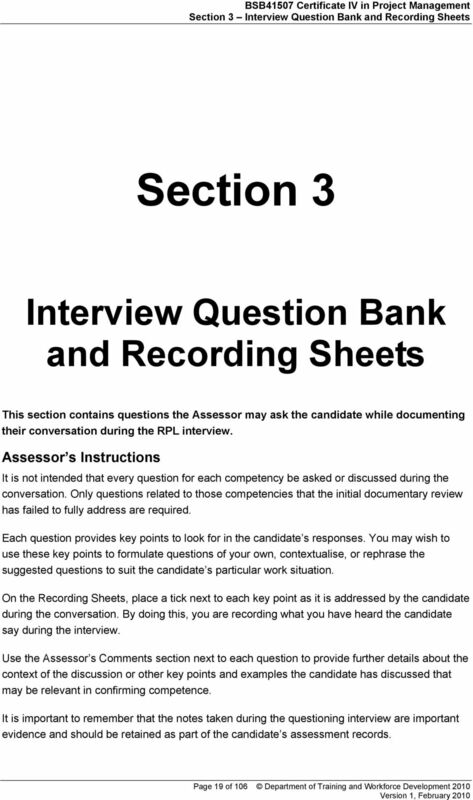 Permission does not extend to the making of copies for hire or sale to third parties, and provided it is not used for commercial use or sale. 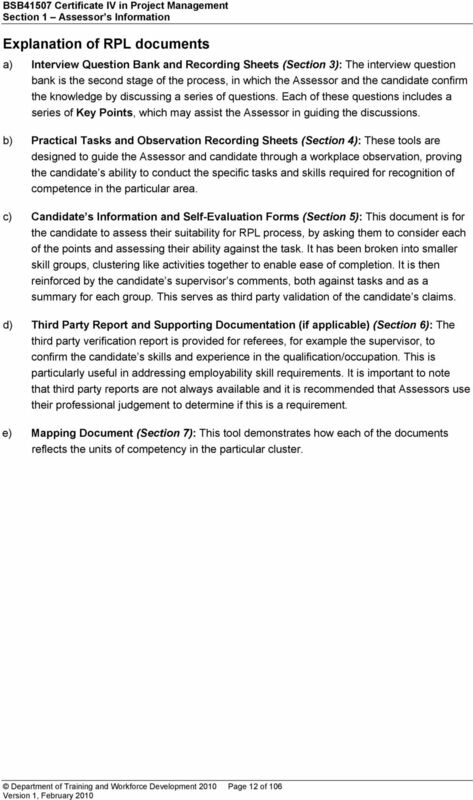 Reproduction for purposes other than those indicated above requires the prior written permission of the Western Australian Department of Training and Workforce Development. 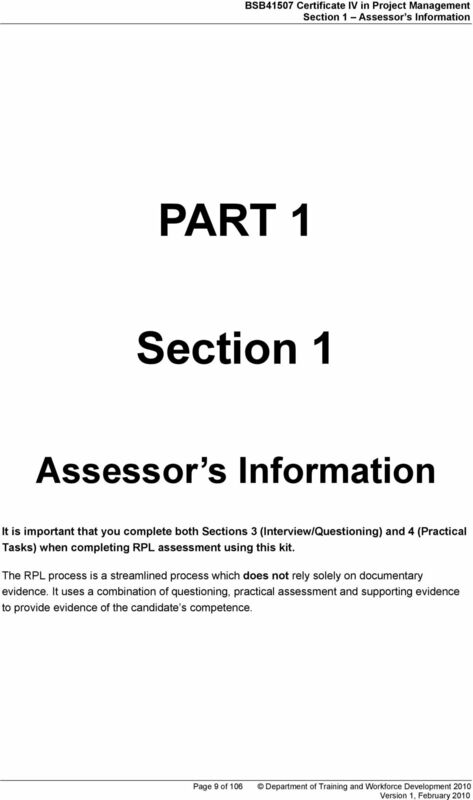 Published by and available from WestOne Services 1 Prospect Place WEST PERTH WA 6005 Tel: (08) Fax: (08) Website: Acknowledgements This work has been produced with the assistance of funding provided by the Council of Australian Governments (COAG) National Reform Initiative (NRI). 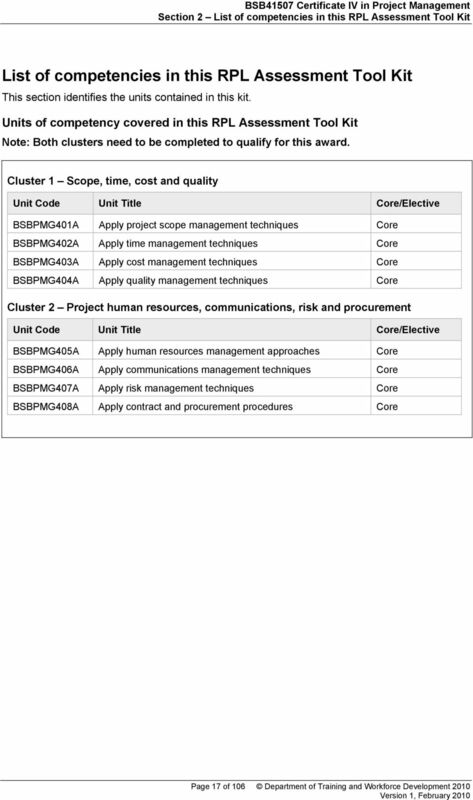 This resource contains Units of Competency from the BSB07 Business Services Training Package BSB41507 Certificate IV in Project Management Commonwealth of Australia 2007 Department of Education Science and Training (DEST), used under the AEShareNet-FfE licence. 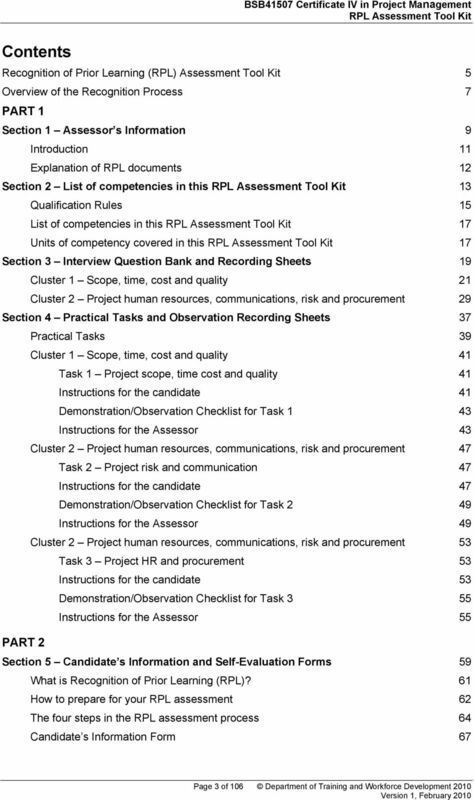 Disclaimer Whilst every effort has been made to ensure the accuracy of the information contained in this RPL Assessment Tool Kit, no guarantee can be given that all errors and omissions have been excluded. 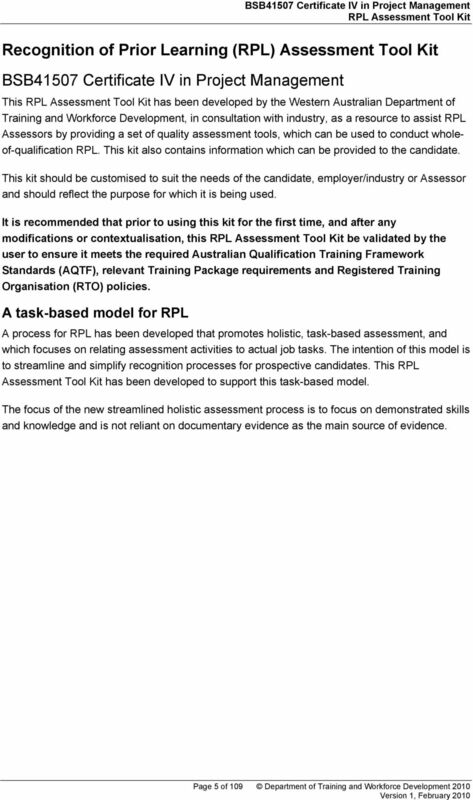 No responsibility for loss occasioned to any person acting or refraining from action as a result of the material in this RPL Assessment Tool Kit can be accepted by the Western Australian Department of Training and Workforce Development.